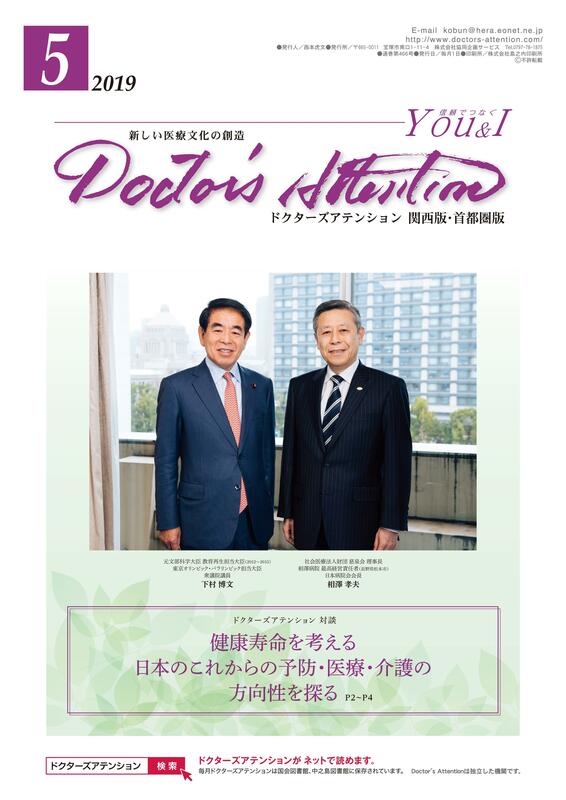 “Doctor’s Attention”, a monthly magazine has been published for 37 years since it was started in 1980. ( Osaka, Kyoto, Hyogo, Nara, Wakayama), but also to some institutions in Fukui, Shimane, and Fukuoka prefectures. the executives of the Ministry of Health, Labor and Welfare, and officers in charge of local administration. We have also been delivering to the National Diet Library and the Nakanoshima Library to be kept at their request since last year. Recently we are promoting the exchange of information in the Tokyo Metropolitan area. We have the opportunity to listen to the top executives of J. C. H. O., the Labors, Health and Welfare Organization, and the National and Local Hospital Conferences. We would like to offer information connected with the Metropolitan area. On our website, ordinary people (including patients) can read and understand the conditions of the medical institutions and hospitals. This is important and we are making an effort as a mission. Since we have fulfilled the contents of our website, many people have paid attention to our work. We are extremely grateful for their support and we are proud of the medical magazines. This is an important aspect of our mission.